The Ministry of Agricultural, Food, and Forestry Policies has proudly announced that the Italian Government has today signed an agreement with Alibaba to promote the excellence of Italian agricultural products and to protect it from widespread counterfeiting affecting a wide range of Italian brands, such as Parmesan cheese and Prosecco wine. This agreement will allow Italian producers to satisfy the increasing demand for Made in Italy on the Chinese platform, which counts more than 430 million consumers. This strategic alliance represents the outcome of a clever negotiation process which began later this year at Vinitaly and bore fruit when the Italian Prime Minister Matteo Renzi visited Alibaba’s Headquarters. "The agreement with Alibaba – says Minister Maurizio Martina – represents a step forward in our ongoing policy to support Made in Italy agricultural products and foodstuffs in the global market. Furthermore, this agreement stipulates the implementation of innovative approaches and procedures to protect and promote high quality products. Above all, we have been able to afford a very high level of protection to our domestic brands on the biggest Chinese platform. This is an extraordinary achievement which, despite having been pursued at WTO Headquarters for decades, we have managed to accomplish on the Web in only a few months followed by exceptional results. This goes a long way towards proving our commitment to the promotion of Made in Italy. At Vinitaly, we promised that we would take the stage on Wine Day (09/09/2016), a promise that we have kept: the Chinese market offers opportunities that must be seized immediately." In terms of protection, Italy is the only Country in the world which has been granted the same protection against PDO and PGI product counterfeiting that is afforded to other brand sold on this e-commerce platform. Although the alliance with Alibaba against counterfeiting started just a year ago, the results have already been impressive: it has already prevented the monthly sale of 99 thousand tons of fake Parmesan cheese, 10 times more than the original production, and 13 million bottles of Prosecco wine that did not originate from Veneto. 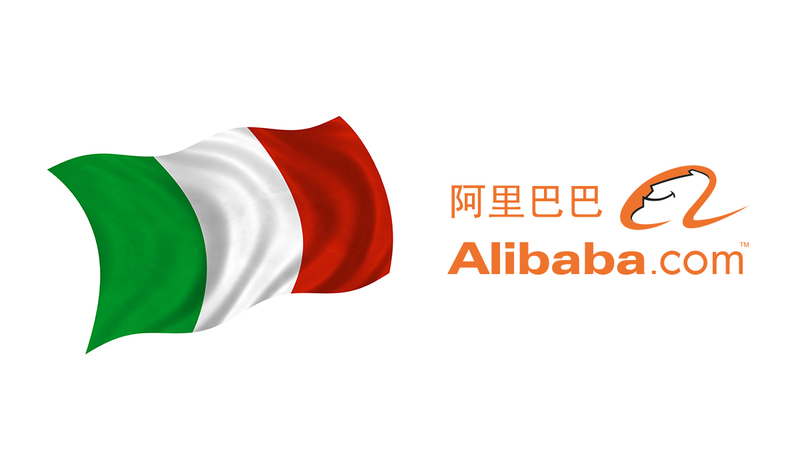 Thanks to this agreement, Italian food protection will be extended not only to the B2B platform, accessible exclusively to companies, but also to the B2C platform, which will be accessible to over 430 million users of the Alibaba e-commerce platform, who can rest assured that they are going to buy real Made in Italy. To detect counterfeit products, the Ministry of Agriculture has set up a task force of the Central Inspectorate for Quality Control and Fraud Repression that will conduct daily searches for any counterfeit products and promptly report them to Alibaba. Within three days, the ads will be removed and all the sales people involved in the scam will be notified. Thanks to this new agreement Alibaba is also committed to promoting training courses for sales people and consumers to stress the importance of geographical indications and designations in the food industry. Not just protection, but also promotion. Italy is going to invests heavily in the Chinese platform to enhance its culinary excellence. To this end, Alibaba will feature a new annual e-sales day dedicated to wine to be held on Wine Day, every September 9th. This special wine event was announced by Jack Ma, founder of Alibaba, at Vinitaly of this year (2016). From that moment, there has been a remarkable increase in the number of Italian wine producers present on the Chinese platform, which went from 2 to 50 with over 500 labels. For Wine Day, the Italian Ministry of Agriculture, Ministry of Economic Development, and Ice will jointly implement a massive communication plan aimed at targeting those consumers who spend more on Alibaba. A commitment that is likely to be further strengthened in the upcoming weeks thanks to the inclusion of China among the strategic targets of Italy’s extraordinary plan for the internationalization of Italian enterprises aimed at gaining a competitive position in markets with a very attractive growth potential. The relevance of these new business development policies is clearly supported by the fact that in the first five months of 2016 Chinese wine imports increased by 42%, reaching a total of 1 billion euros.